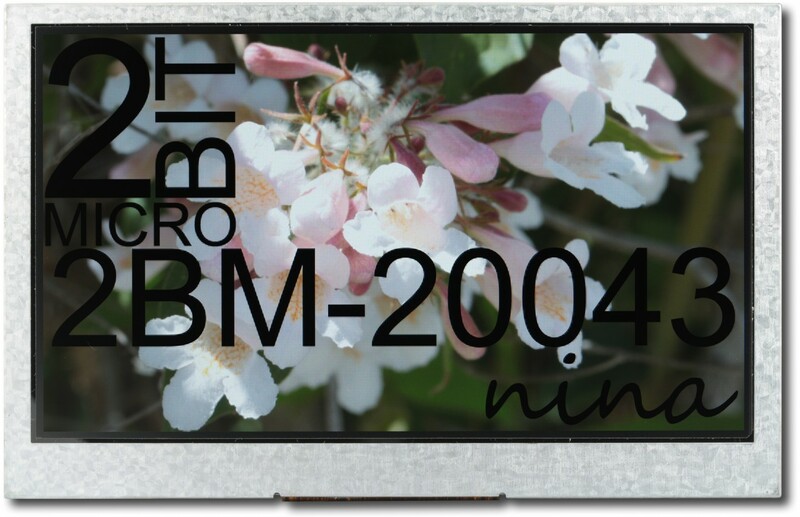 The 2BM-20043 is a 480xRGBx272 pixel, full color graphic TFT LCD module with carrier board. Images look vibrant and crisp on this WQVGA display, capable of displaying over 16 million colors. Connections to the board use a 0.10" header, so using a high-tech display doesn't come at the expense of using a proprietary or otherwise inconvenient connector which is difficult to source or just plain difficult to use. Also implemented in our design is a backlight driver, which makes turning the backlight on, off, or dimming by PWM as simple as manipulating a single pin. Working with our display is a cinch thanks to the presence of a display controller which exposes a 16-bit microcontroller interface, so you don't need an expensive MCU with a display controller built in, nor do you need an exceedingly fast processor to manually toggle sync lines so that you can talk to the display. Click the button below to add the 4.3" 480xRGBx272 TFT with Interface Board to your wish list.